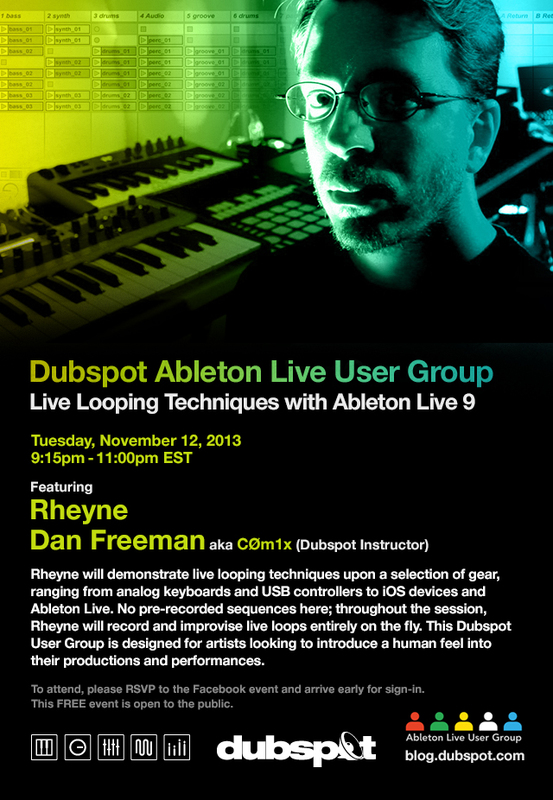 On Tuesday November 12th, our Dubspot Ableton User Group in New York City continues with guest instructor Rheyne and host Dan Freeman (CØm1x). Rhyne will be demonstrating live looping with analog keyboards, USB controllers, iOS devices, and Ableton Live. All sounds will be recorded live with no pre-recorded loops or sequences. Watch Dan Freeman demonstrate production and performances with Ableton Live and PUSH at Harvard University.